Yesterday we had a two hour delay but the girls still missed the bus due to both myself and my husband both being under the weather. I am barely functioning while my husband is moving much more then I am helping me keep the house moving as much as he can. 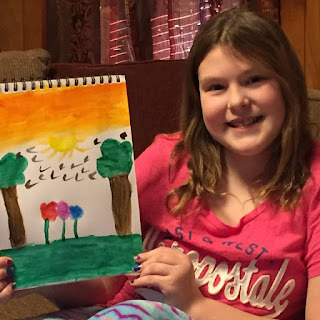 I try to keep things on hand to bring out on days like this so out came the watercolor paint set from DeyArt for my daughter to try out. 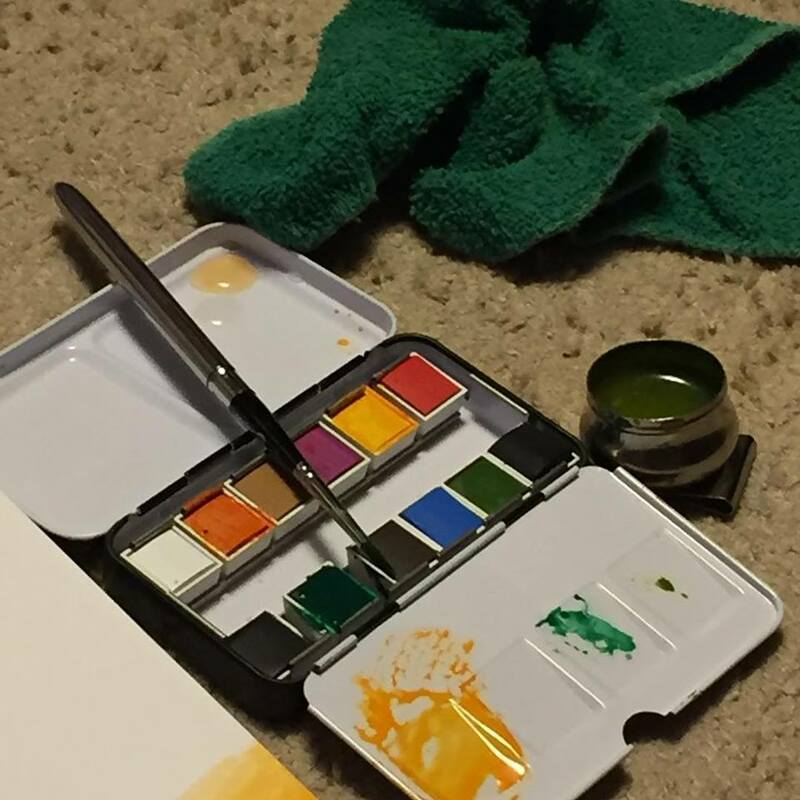 I am totally impressed by the compact design, the bright easy to blend colors, and the brush that breaks down into its own protective case when not in use. The little water pot is a great extra. Here you can see my daughter who wanted to do a sunset. I think she did pretty good. She says she doesn't get to paint very often in school so she looks forward to being able to paint more at home now that we have these. Lets see where this set will take her over the next few months. I can't wait to do some painting up by the water in the spring when the Geese and Ducks are having their babies. 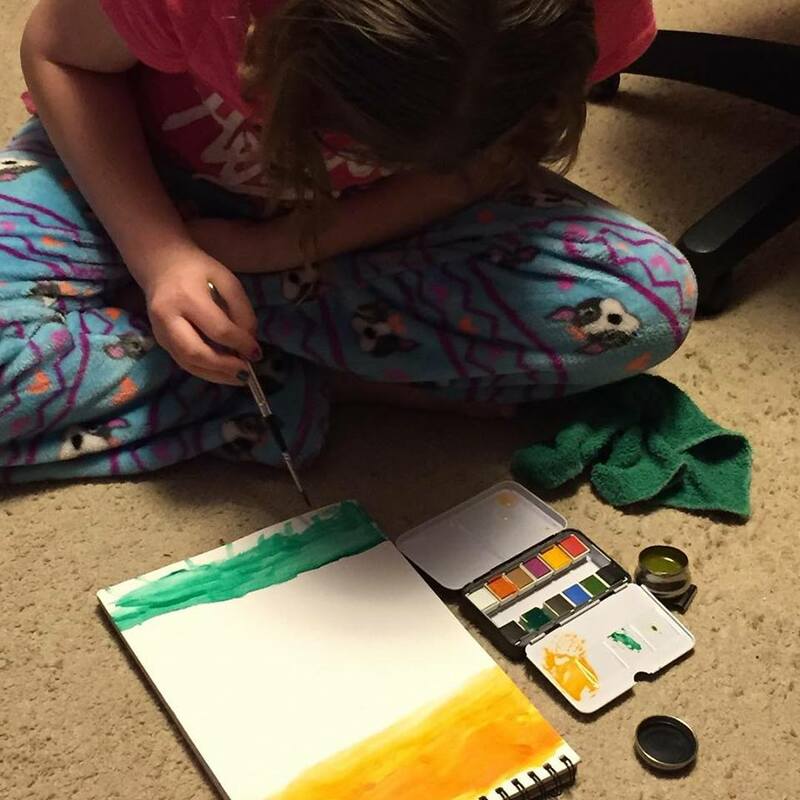 Maybe we can do a Mommy and Daughter Painting. 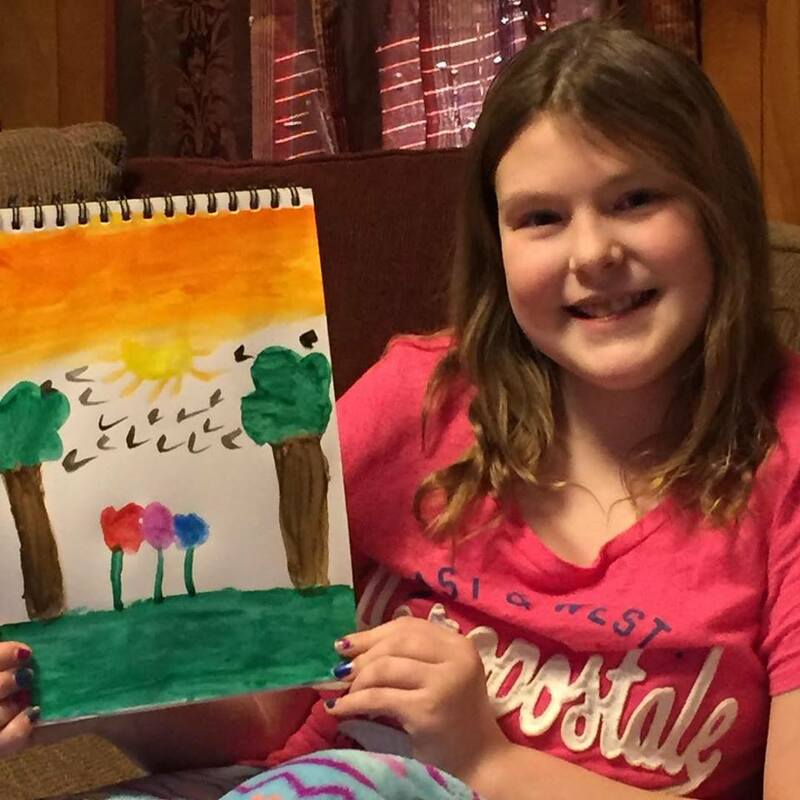 Mind you I am not much better then my daughter I haven't painted since 7th grade, but I would love to try it again. The DreArt Set comes with 12 richly pigmented colors, a travel brush, 4 partitions to blend the colors and a pallet cup.